We are looking for a friendly disposition and positive attitude Server Staff. As a Server you will be responsible for taking food and beverage orders quickly and in proper sequence, serving food and beverages for guests, coordinating with closely with our Sushi Chefs to ensure timely service and quality of food all while providing the highest quality of service to our guests with a smile! We are looking for an experienced Sushi Chef with excellent knowledge of the Japanese kitchen. Necessary to you have a thorough knowledge of the preparation and presentation methods of sushi. and you are able to explain the meaning of these dishes and ways of presentation as well. We are looking for an experienced head chef from a high quality restaurant background with business management sense. We seeks high caliber of supporting purchase and inventory management of food for cooking. Close communication with team members is necessary. Relationships where team members can working as no stress and encourage each other is ideal. We are looking for staff of room cleaning. Job tasks are cleaning rooms and toilets, collecting rubbish and making bed etc. In line with the Immigration rule, applicants must be eligible to live and work in Japan, without restrictions. Documented evidence of eligibility will be required from all candidates. Are you interested in working in a tradtional and authentic Japanese restaurant? Holiday: Please check information about holidays on Facebook. 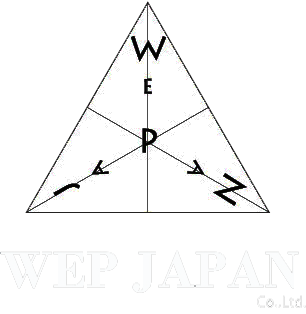 Copyright Ⓒ by WEP JAPAN.